Sid: Give my regards to your father. I was right! She was dreaming! And when she woke up it faded back to white! Thanks for the hint, I’m probably gonna end up keeping of list of stuff like that so I don’t have more freak outs like the last couple pages. I can just see Sid smiling in that first panel. I’m calling vision of the past or future. Helpless Mia stands there helplessly. R.I.P. Crimson Rhen…? I love the reflection in Sid’s goggles. She is dreaming! This will happen next time she travle to Belatyr! Please dont kill Rhen I think I actually is in love with him. If Sid kills Rhen I dont know what to do. Shhh… It’s alright. It was just a bad dream, Mia. This is the first time I have seen this page. I really like how it came out. Agreed! Y’all did a fabulous job, as usual! after having just hang out with Chris and chatting up her girlfriends about him, one would expect steamy dreams of Chris, not premonitions of another man. I know! I’m not sure who I like better, Chris or Rhen. Rhen’s awesome but stuck-up. Though me and a friend agreed, he has very good reasons to be. And Chris is nice, and polite. And good-looking too. Wouldn’t it be a hoot to find that Chris is somehow related to Rhen? Hmmm, then again, that would be a bit too cliché now wouldn’t it LOL! NOOOOOOOOOOOOOOOOOOOOOOOOOO… phew, just a dream! I am sorely tempted to link to the Darth Vader “No Button”. Scary, huh? Ahh so many emotions! it was just a dream! But what about her other dreams? Were they premonitions and if so why didn’t we see her in them? Is that even important? 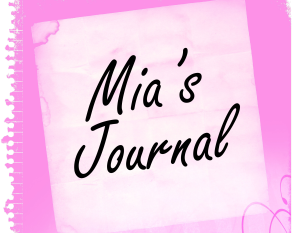 I wonder what Mia will do next? go and tell Rhen? Anyways, forgive my ranting, awesome job!!! Yep! This comic always keeps me guessing! I guess it’s back to rereading the archives and looking for more tidbits. I should get a copy of the book. I keep bogging down my browser with the cache info. I’ve only been through the archives 10 times this week. Man I need a life. the thing about magic is that its like physics, different world have different rules. That said I’m pretty sure Mia’s going to tell the crew of True North, and Rhen, about her dream, and Rhen being the narcissist he is will take the opportunity to comment about how she dreamed about him again. I think would be funny if after that Mia ended up behind a desk with Rhen teaching Mia about magic with an enchanted chalkboard replacing and entire wall, and citing himself in all of the examples. Just a quick reminder. 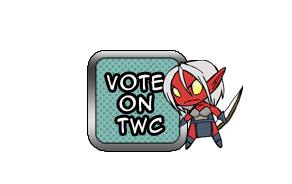 It’s CRIMSON Friday here at Shadowbinders, meaning we’re having 25% OFF all merchandise (excludes pre-orders) now through the end of the week. Use code “crimsonfriday” at checkout for the discount. Second; oh, God, please NO! I’m guessing we’ll post another on December 1st. While I am annoyed by this I appreciate the fact that Mia’s dimensional jumps are finally going to have purpose, but convincing the crew that this will be fact will be difficult to say the least. Hello! Glad you like it! Welcome to the comments section. Feel free to participate often. That is not Rhen in the reflection in the first panel… wonder just who he is, really? Nope..that is Rhen. Question is…how does Sid know Rhen and his late father and why does he hate them so much?? Maybe Sid’s pretty much a bounty hunter. He got injured or something fighting Rhen’s father, and developed a hatred of them. Just a wild guess. Hey gang – new page in a little bit. 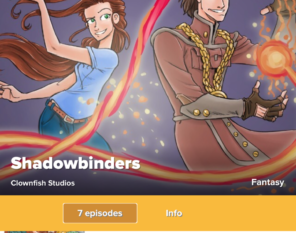 Also, awesome Facebook reader Kaitlin Daniel asked us if she could create a Shadowbinders Wiki. So here we go, the “official” Shadowbinders Wiki (as far as we’re concerned.) Feel free to contribute! Whew! Just finished up to current in two days. I am especially impressed with what you have done with Mia’s facial expressions. It makes her a very endearing character. 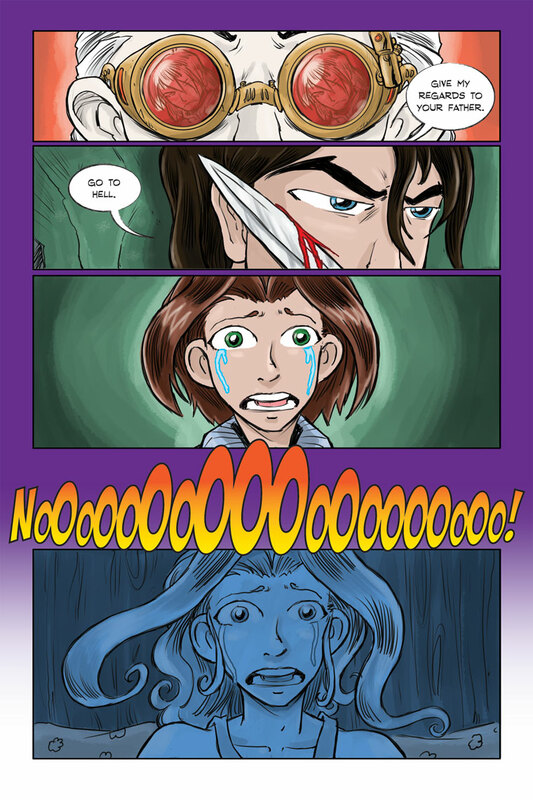 Also, some elements of your art remind me favorably of Elfquest (one of my old faves), and your story is captivating. Thank you so much and welcome aboard!